[ #Microsoft #Autodesk #3Dprinting ]Build Conference — In two separate but related efforts to advance the future of digital and physical creation, Autodesk has announced it is working with Microsoft Corp. to embed its 3D printing platform in Windows 10, and that it intends to make its 3D modeling software interoperable with Microsoft’s mixed reality environment, Microsoft HoloLens. 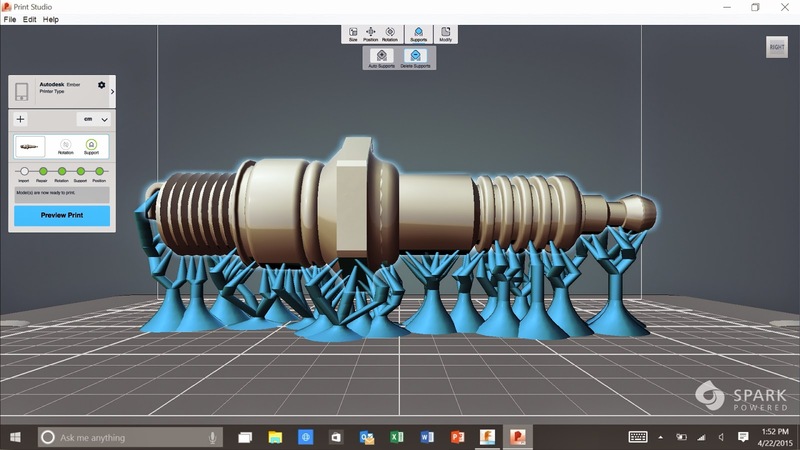 In the first initiative, Autodesk will embed its Spark 3D printing software platform in Windows 10. This effort will provide Windows users with direct access to optimized and more reliable 3D printing experiences that streamline the additive manufacturing process for a variety of software, material, and printer choices. Autodesk will make the Spark APIs available for free* to the Microsoft developer community to build upon, extending the reach and growth of the 3D printing industry. Further, to their combined goal of making 3D printing more accessible, Autodesk will also join Microsoft as a founding member of a 3D Manufacturing Format (3MF) Consortium to create and support a standard 3D interchange and printing format. The second initiative is aimed at bringing 3D models from Autodesk software into the virtual reality environment of Microsoft HoloLens. Digital models using software such as Autodesk Maya or Fusion 360 could then be viewable in the mixed reality environment enabled by HoloLens. For game developers and filmmakers, this may accelerate the creation of a new generation of entertainment experiences. For designers and engineers, this may make it possible to digitally view a full scale model during the up front design phase of product development, cutting down on the time and cost required for physical prototypes before fabrication. In the future, designers and engineers could create 3D models of their ideas with Autodesk software, like Fusion 360, view the models with HoloLens, and prep them for 3D printing on Spark-compatible printers.